One of my favorite smells is cinnamon. It can be straight out of the bottle, sauteing on the stove, or baking in the oven–I love it. It smells of comfort, warmth, and love. 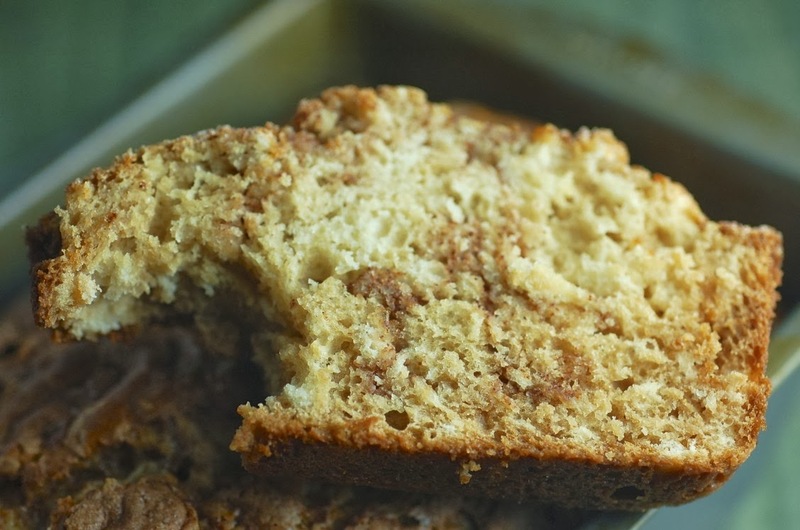 I really love cinnamon in the fall when all of the chaos of summer travel has come to an end, it’s time to snuggle up with a blanket and a good book, and the appreciation for loved ones really comes to the forefront. Cinnamon comes with memories. 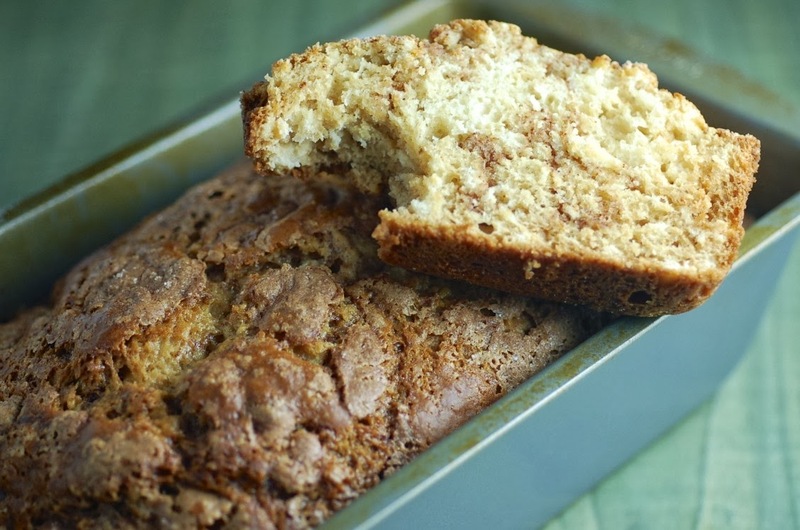 This buttermilk cinnamon bread is sure to cultivate fond memories. It is extraordinarily easy to make and fills the entire house with a smell that is so decadent I can’t describe it. Seriously, if I could bottle this smell and sell it, I would be a millionaire. A few times, I’ve just baked the bread so it will make the house smell good without particularly having any other reason in mind. 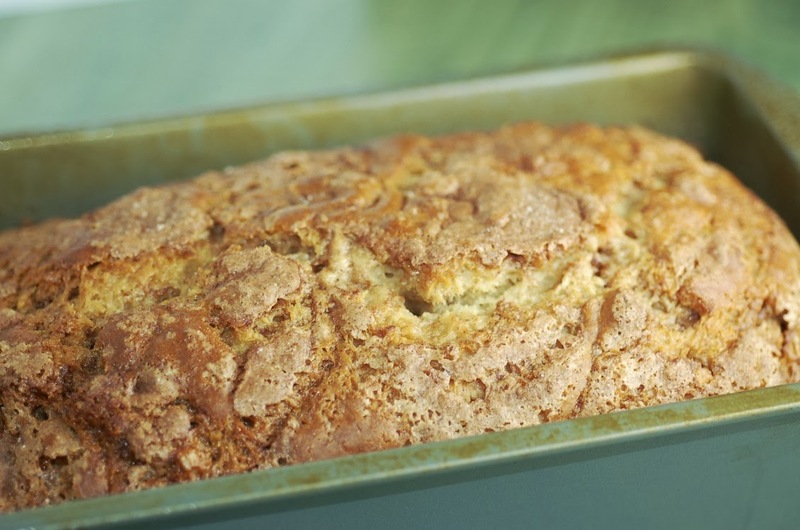 Not only does this bread smell good, but it also tastes fantastic as well. The top is perfectly crusty with a hint of sweet, while the buttermilk provides a perfect tangy balance. 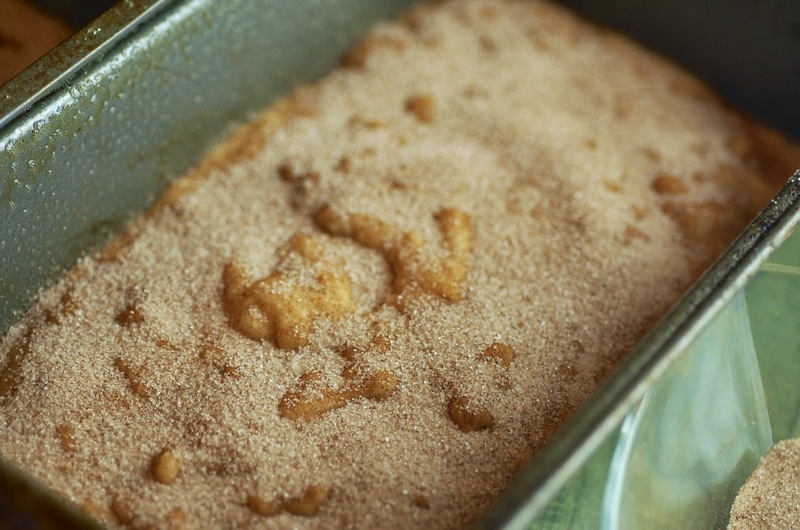 The ribbon of cinnamon-sugar in the middle is like a little nugget of heaven. I don’t know about you, but Cinnamon Toast Crunch was (is) one of my favorite cereals, and this bread is like a grown up sophisticated version of that in bread form…if that makes any sense. I imagine that this bread would be incredible dipped in coffee with some Irish Creme. In fact, I am going to try that next! 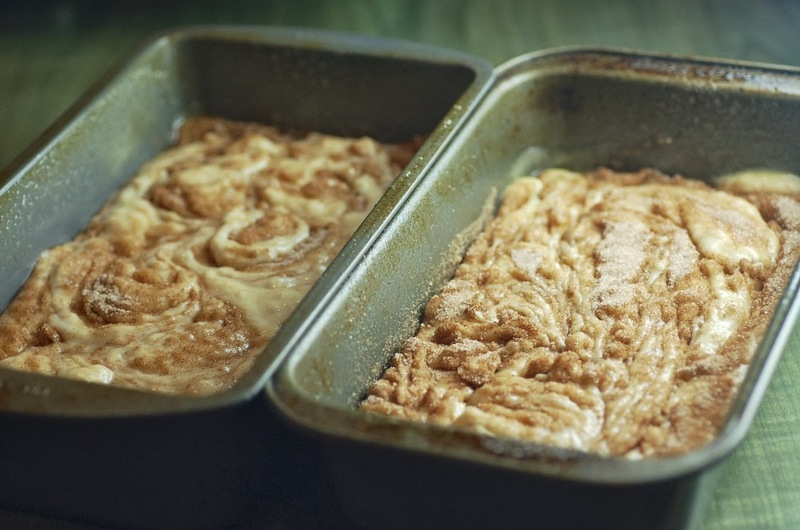 Use cooking spray to prepare two 8 x 4 loaf pans. In the bowl of your stand mixer, combine the applesauce, oil, and 1 1/2 cups of sugar. Add the buttermilk and eggs. Mix well. Add the flour, baking soda, and salt. Mix on low until just combined. 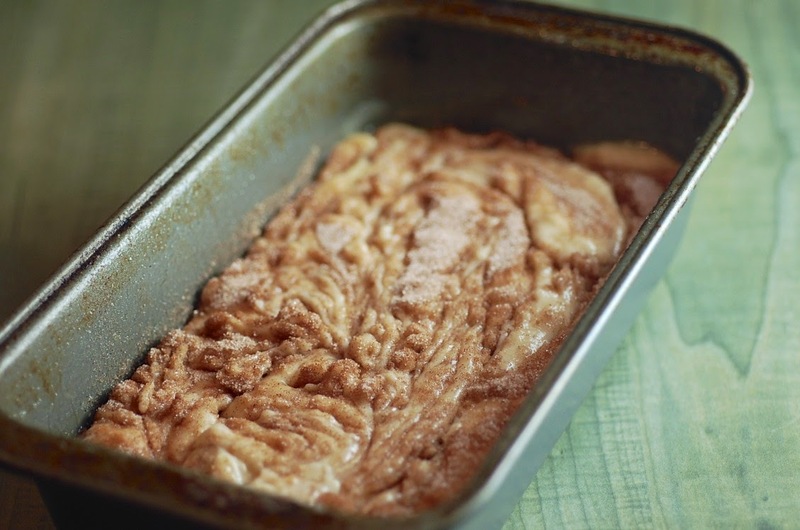 Mix the tablespoon of cinnamon and the 3/4ish cups of sugar in a small bowl. 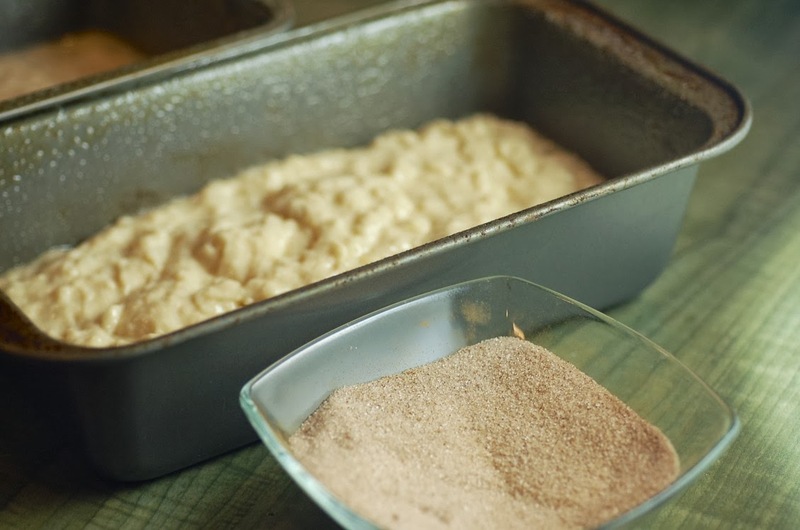 Fill each of the loaf pans about half full. Sprinkle about half of the cinnamon/sugar mixture over each of the pans. Top both pans with the remaining batter, then top with the rest of the cinnamon/sugar. Swirl with a butter knife.